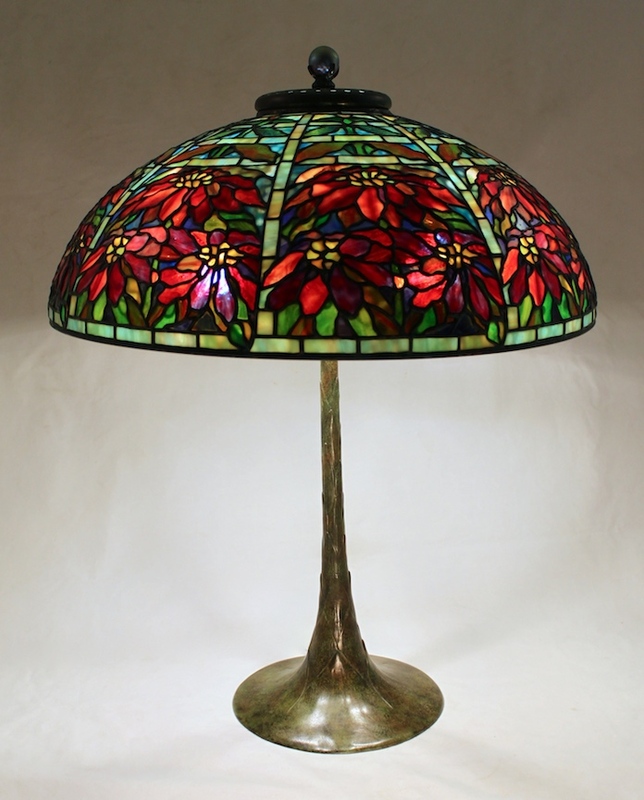 Tiffany Studios created Poinsettia shades in 14″, 16″, 18″, 22″, 26″, and 28″ sizes. 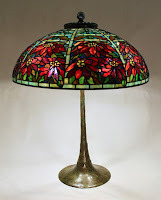 The popularity of this floral motif can be attributed to the exuberance of the flowers and the popularity of red glass in stained glass lamps. The 22″ Double Poinsettia shade combines large expressive flowers held in check within a formalized trellis. For this shade, we used a variety of light and deep toned reds tinged with blues, purples, and yellows to give the flowers a fanciful, sun dappled appearance. 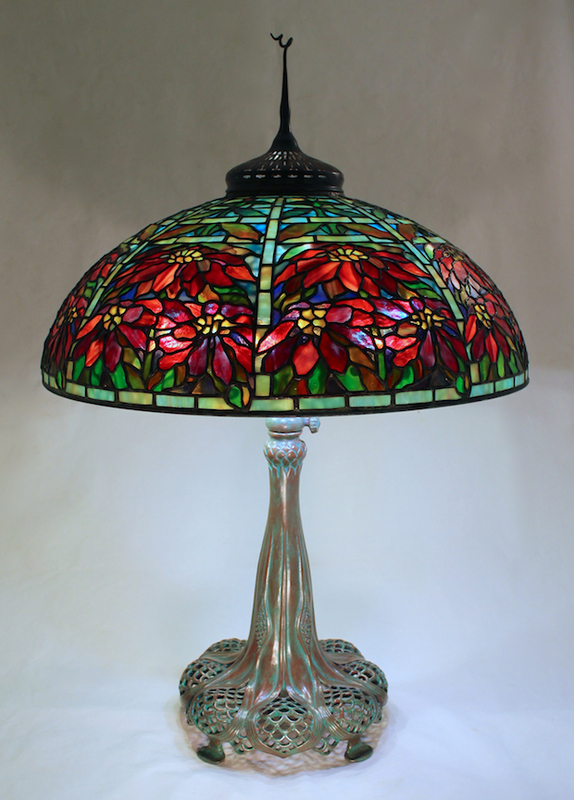 The light blue background glass at the top of the shade deepens to purple and amber. Unifying these colors is the multicolored trellis glass with its hints of blue, amber, and green. Created as a showroom piece, this shade can be used as a large table lamp, a junior floor lamp, or as a chandelier. We are showing the shade on the Perforated base and the Artichoke Trumpet base. This piece is currently available for purchase in our showroom.